I’ve got one of the BEST White Hot Chocolate recipe on the planet!!! 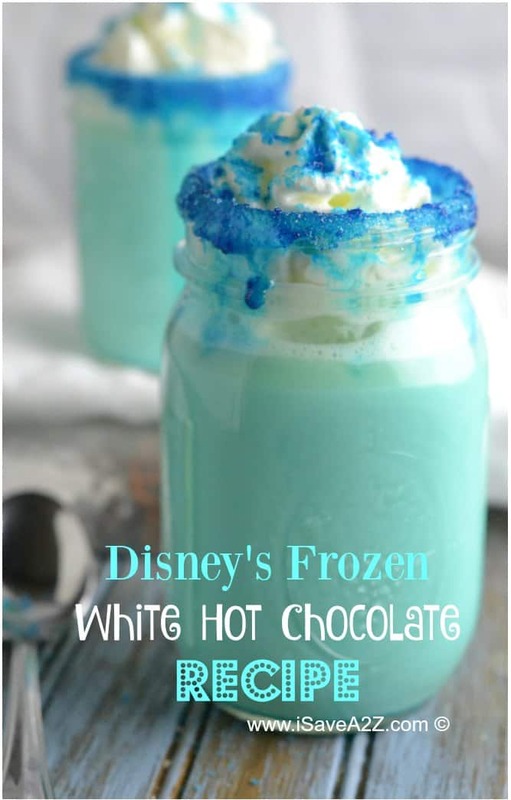 If you have a child that is in love with Disney’s Frozen Movie then I am sure at one point or another you’ve done some cute recipes just to see that beautiful smile on their face. Yeah, that’s me. I love getting crazy with my recipes. It helps that this color is one of my favorites. It’s funny how a bit of food coloring can make your child think you just make the best recipe they have ever tried even though it’s the same recipe you’ve been making all along too. Don’t try to argue that fact either. I know. I thought the Disney Frozen movie would have run it’s course by now but not with these kids. It’s still going strong. In fact, one of the popular toys this year is the Elsa doll! I’m not talking about the Elsa doll that looks like a Barbie either. I’m talking about the large plush Elsa doll that looks like this on here on Amazon. I always get a kick out of what toys are popular each year. I can never seem to predict them either. They are never what I think they will be. Remember a few years back the Tickle Me Elmo fiasco? I would have NEVER have guess a talking and dancing Elmo would have been so popular. I never bought one. I try not to feed into those things. I wonder what happened to all of those talking Elmo dolls? 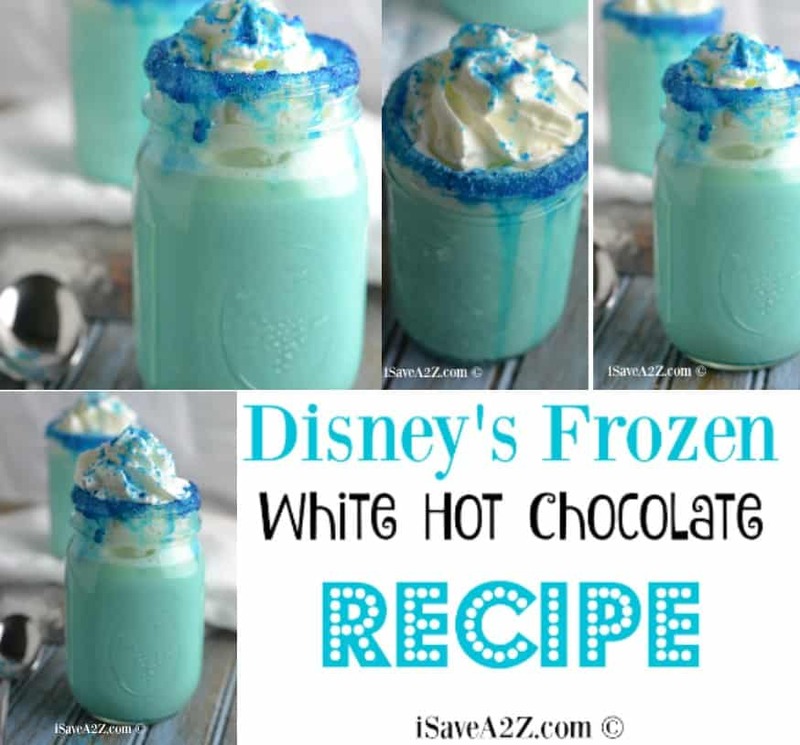 Let’s make a delicious white hot chocolate recipe but with a twist! 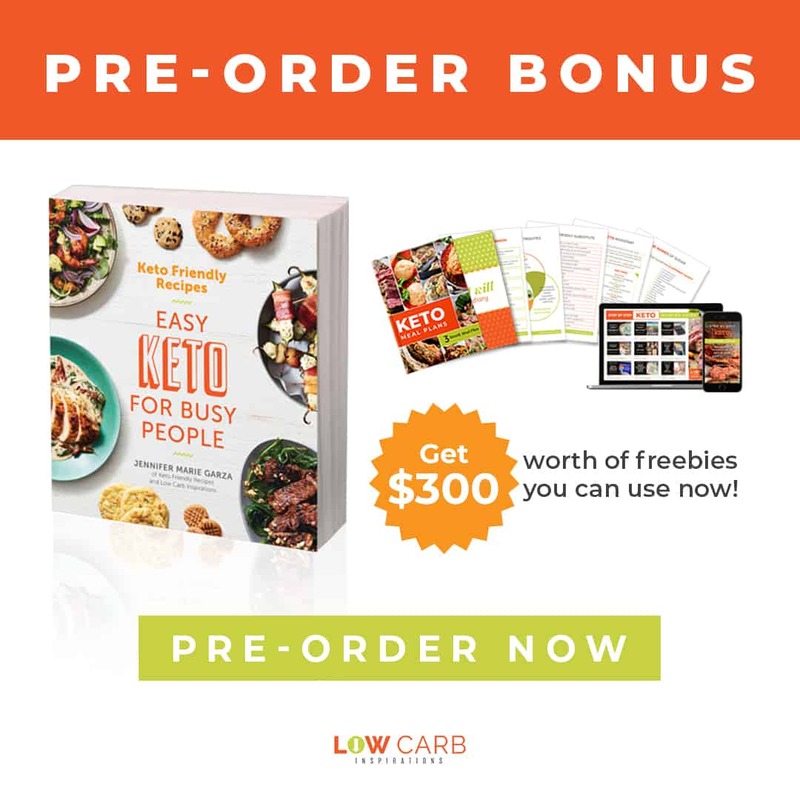 This recipe is delicious. 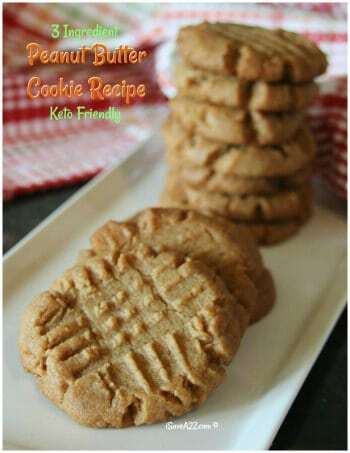 It’s one of those recipe we make only on special occasions because of the sugar content. I plan to make this on Christmas day for sure. It’s so rich and creamy. Everyone loves it! In a sauce pan place milk or half n half on a low heat. The half and half will give it a rich and creamy taste. I use a mixture of both but you can do any combination you want as long as the liquid equals 2 cups of milk. I only buy 1% or 2% milk so the half and half will give it what I need. You might not need half and half if you use whole milk. Whole milk has more fat in it than the ones I use. Now you will add in your white chocolate chips. Stir it until chocolate is completely melted. Be sure to melt the white chocolate on a low heat. Continue stirring it too. I never let it sit on the stove without me watching over it and stirring it. Milk tends to burn quickly if your are not tending to it. This may take about 5 to 10 minutes for it to simmer just enough for the chocolate to melt. Do not let it come to a boil. 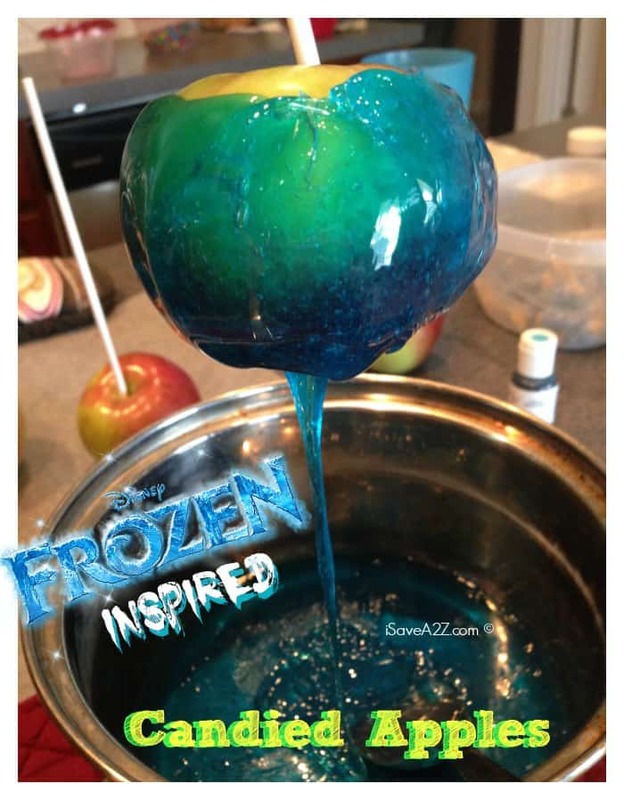 When it’s done you can add in about 2-3 blue food coloring drops. It doesn’t take much. Just make sure it’s not too hot when you are ready to serve it. We don’t want to little ones to burn their tongue. In a small bowl add 1/4 cup sugar and 2-3 blue food coloring drops mix. Place rims of glasses in the sugar. Pour hot chocolate into the cups. Top with cool whip if desired. This really is the BEST White Hot Chocolate recipe on the planet! 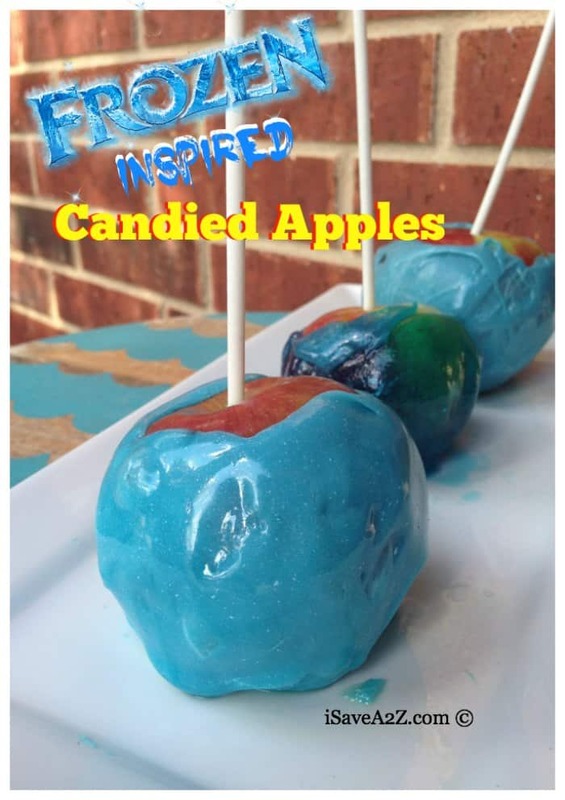 If you are looking for more Disney Frozen inspired recipes check out our Disney’s Frozen Candied Apples that we made out of Jolly Rancher candies! 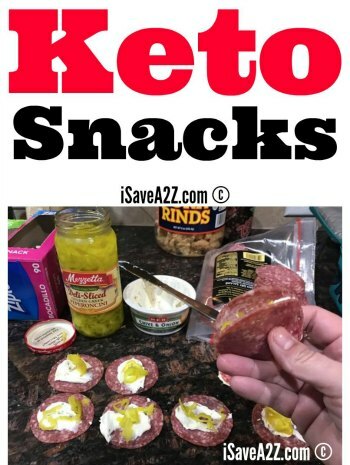 This recipe was fun but not really one that you want the kids to help you with. 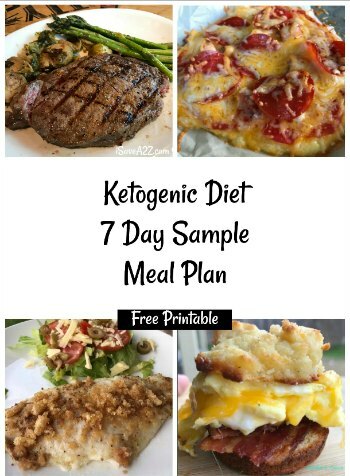 By Jennifer on December 10, 2015 Desserts, Drinks, Recipes, Trending Topics.